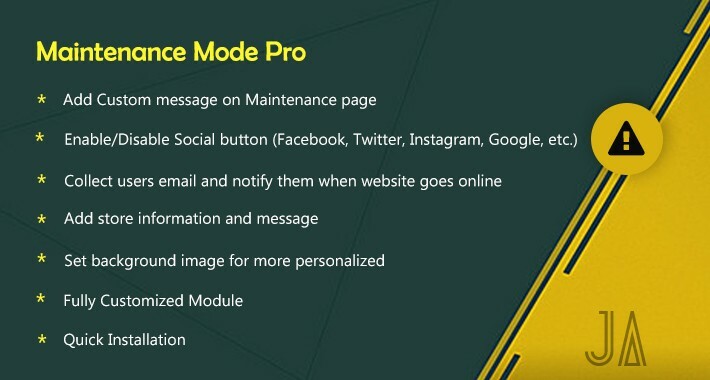 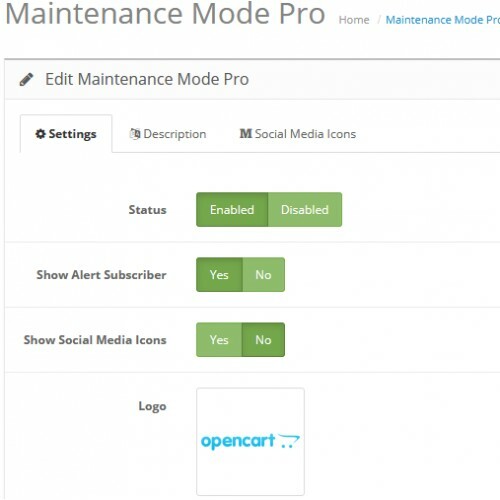 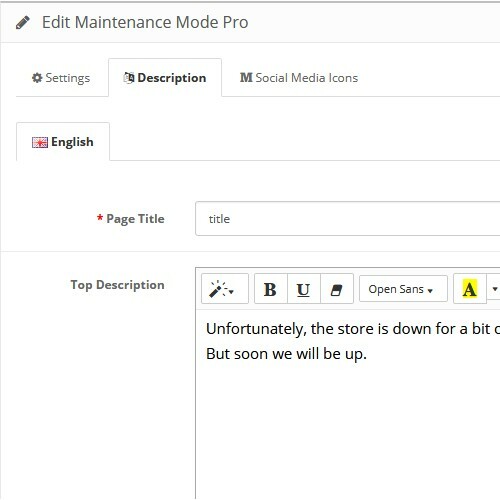 Maintenance mode pro extension allows you to set setup maintenance page in style! 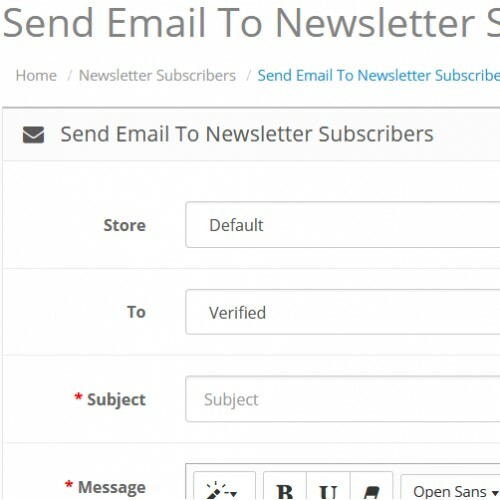 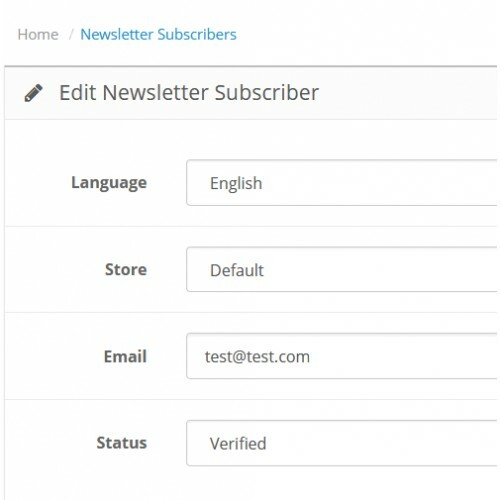 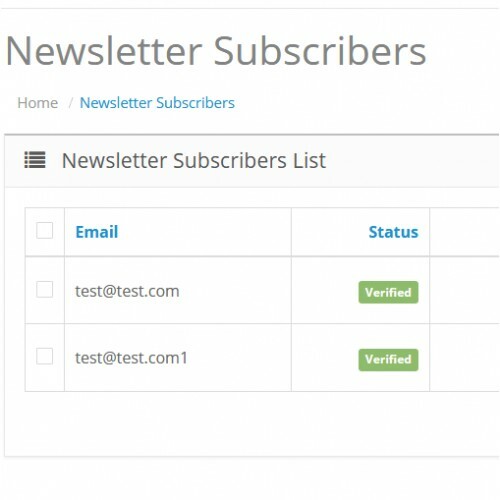 With fully customization as per your taste, you can change custom message, collect users email for send notification when website goes live, add store address or any other message. 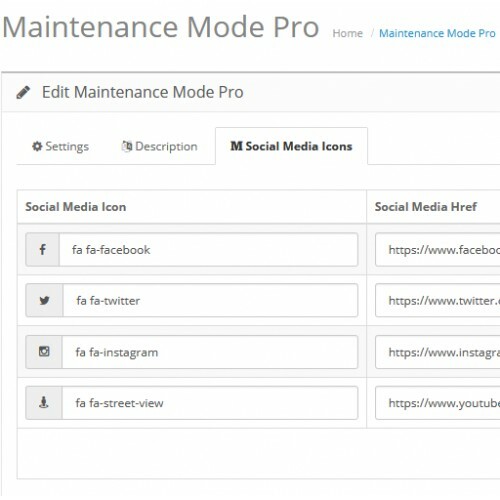 You can also setup social page links, so users can follow you as well. 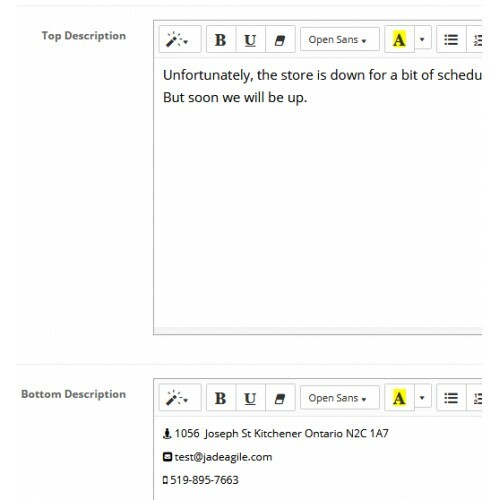 This extension fully supported multi-lingual and multi-store. 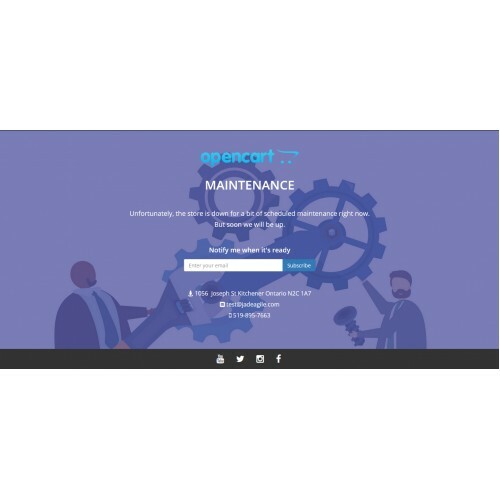 * Maintenance Page Is Only For Users, Which Means That Administrator Will Not See Maintenance Page.